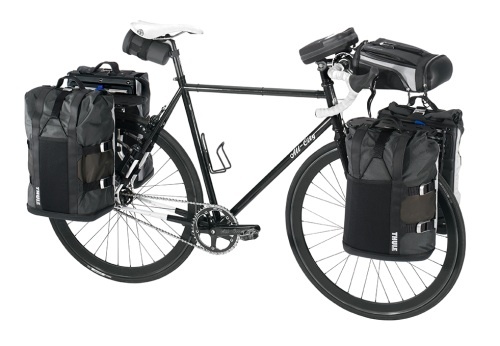 Long Distance Hauler — Car-rack company Thule is getting into bike bags. The brand’s Pack ‘n Pedal system is made to tote everything you need to take on a trip. Case in point: A stem-mounted waterproof case with a clear window lets you navigate via an iPad tucked safely inside. Ahead of that is another handlebar bag that looks like a nose cone. Everything else will fit into the pannier bags on front and back, ready to roll down the road. This brand, so new it does not yet have a website, hopes to change that image and the resulting products with a line that consists of carbon and titanium road bikes. 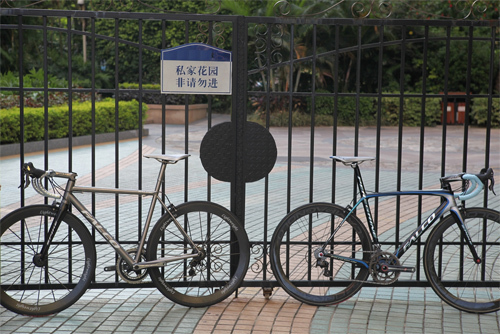 Another model, a titanium bike with couplers, fits in a suitcase for travel. The brand’s carbon frame with fork and headset will start at $1,199. First-Ever Folding Cargo Bike —Tern and Xtracycle have had a baby. It’s name is Cargo Joe C21, and the combination of Tern’s folding platform and Xtracycle’s frame-extension kit is nothing if not unique. 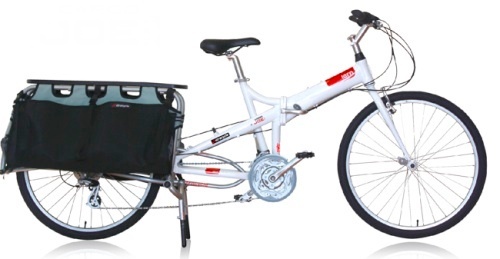 The foldable bike has massive capacity on back for hauling supplies and can carry up to 350 pounds. Comes with two waterproof pannier bags and costs $999. 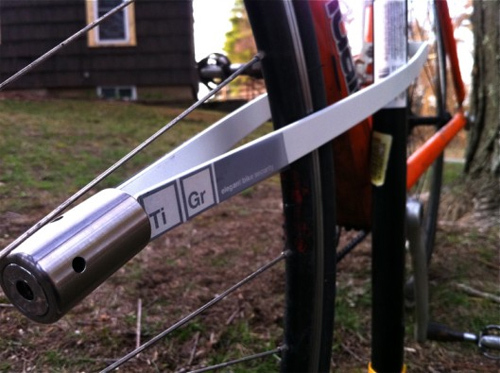 Titanium Bow Lock — Lightweight and sleek are two adjectives not often heard when talking about bike locks, unless you’re looking at the TiGr, which was announced last year. This flexible titanium bow lock now comes in new sizes. It is burlier than a steel U-lock, the company says, and it weighs 1.5 pounds. 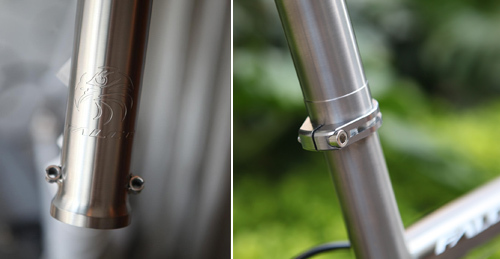 The TiGr stays stored on your bike frame by clamping onto either side of the top tube and fastening with a Velcro strap. To use it, loop the lock’s 23-inch titanium arms through a rear wheel, around anything about the size of a bike rack or street sign, and then fasten the ends together through the front wheel, securing with the stainless steel lock. $165. 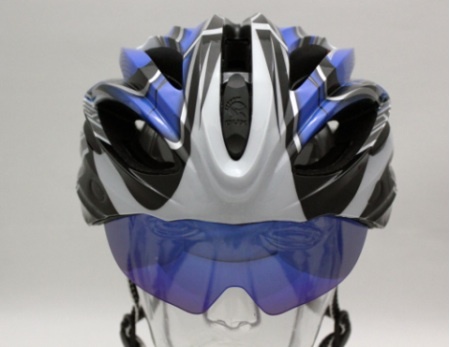 Helmet with Built-In Lens — Should sunglasses go over helmet straps or under? The Dux Helm, a helmet with sunglasses built in, has eliminated this long debated question among cyclists. The helmet is light weight at under 300 grams, and it has ample airflow with 24 vents. The sunglasses are retractable — you can push them up as the sun goes down. The helmet with one lens is set at $169. Stealth Style E-Bike — Electric bikes are often picked out in a crowd by their awkward frames and large battery packs. 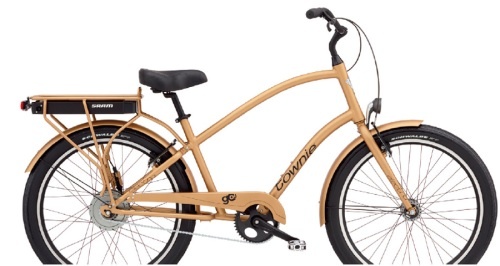 With the SRAM E-matic system stowed compactly under a rear rack, the Electra Townie Go looks more like a normal cruiser bike. The bike is one of the first to come fitted with SRAMS’s e-assist system, which is the company’s first foray into electric. The SRAM “booster” and bike together will cost you about $2,200. Carbon CX Bike — The S-Works Carbon Crux from Specialized uses a design borrowed from the company’s road bike line but rebuilt to take a beating on the ‘cross scene. Internal cable routing and recessed water bottle bosses give this ride a sleek look. A flattened top tube and a scooped-out “love handle” grip on the down tube makes shouldering the bike easy. 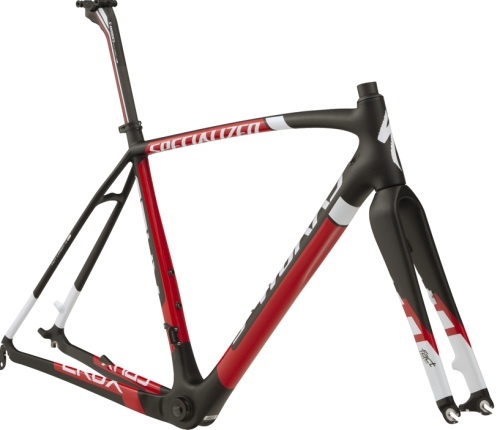 The new Crux will come in two builds, an ultra-light carbon and a more economical version. Both offer disc or cantilever brake options. The frameset starts at $3,000.